This supplement includes natural probiotics and antioxidants and a bespoke blend of food-state nutrients, whole foods and herbal extracts. Free from: wheat, soya, gluten-containing ingredients, artificial colours, added sugars, flavourings, preservatives and excipients. Contains lactobacillus bulgaricus (from milk). Suitable for vegetarians. 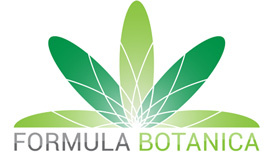 Several good products are available, including: Clear Skin Complex (£22.06, 60 capsules), a blend of botanicals, minerals, fat-soluble antioxidant carotenoids and probiotics, specifically formulated for problem skin – including acne, eczema and premature ageing – and Ultimate Beauty Skin Hydration (£30, 30 capsules), a formula which boosts water retention in the skin via its patented ‘Lipowheat’ extract, which is rich botanical ceramides and glycolipids, which act as the skin’s ‘sealant’. Free from: gluten, nuts and dairy. The Ultimate Beauty Skin Hydration contains an extract of wheat as described above but is gluten-free. Both are vegan. The former is a blend of vitamins, minerals and anti-oxidants. It also includes pure marine collagen which is known to support skin, hair and nails. The latter is a similar product, but aimed at men, especially sporty men or fitness fanatics. Both contain vitamin A, so should be avoided by women who are pregnant or planning pregnancies. 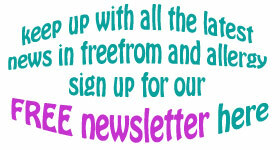 Free from: salt, starch, wheat, corn, gluten, lactose, yeast, dairy and colours. Contains fish. One of the best-known beauty supplement ranges for skin, hair and nails. Signature product is Perfectil Original (£9.15/£23.25, 30/90 tablets), designed to complement your daily skin and hair care routine with a range of micronutrients including vitamin C, riboflavin, niacin and biotin, plus minerals selenium and zinc which support normal hair and nail health. Other products available in the range are: Perfectil Plus Skin, Perfectil Plus Nails, Perfectil Plus ProTan, Perfectil Max and Perfectil Platinum. Free from: gluten, gelatin, artificial colours, preservatives, salt, yeast, lactose / dairy, sesame, nuts and peanuts. It’s suitable for vegetarians and is not tested on animals. Not suitable for vegans due to sourcing of vitamin D from lanolin (sheep’s wool). Contains echium oil, rich in key omegas, including stearidonic acid which supports a youthful complexion, and vitamin C to help collagen synthesis and brighter skin. Free from: gluten, wheat, dairy and nuts. Not suitable for vegetarians (gelatin shell). High strength anthocyanidins plus lutein and green tea extract are the powerhouses behind this supplement. Ingredients help boost sun protection in the skin, offer firmer skin, and help support reduction in spider veins and wrinkles. Free from: wheat, gluten, yeast, dairy, soya, and nuts. This product is not suitable during pregnancy and breast feeding. Vegan friendly. A blend of superfoods and plants to maintain healthy and glowing skin, nails and hair, including horsetail spring shoot, stinging nettle, sea buckthorn berries, burdock and watercress as well as important skin, hair and nail nutrients including MSM, zinc, carotenoids, biotin, pantothenic acid and vitamin C.
Free from: wheat, gluten, soya, yeast, dairy, gelatine, animal ingredients, additives, sugar, colours, flavours or preservatives. The former is a multivitamin and mineral complex with lysine and horsetail extract. It includes biotin and zinc, which help to keep hair and nails normal and healthy, plus copper which helps to maintain natural hair colour. The latter is a skin health formula containing vitamin A, plus zinc with botanical extracts such as burdock and dandelion. 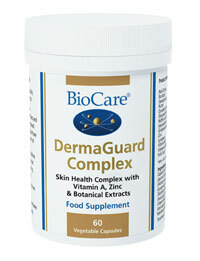 Vitamin A and zinc are required for the maintenance of healthy skin. Burdock can also help to keep skin healthy and normal. Both are vegan and free from nuts, wheat, dairy, gluten and soya. Not suitable for pregnant women or women planning a pregnancy. This supplement includes a blend of vitamin C, biotin and zinc to help maintain beautiful hair, skin and nails. Free from: gluten, yeast, dairy, artificial flavours, colours or preservatives. Labelled vegetarian but is also vegan. Kosher. 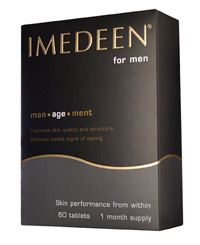 Dedicated skincare supplement brand with a number of products including Imedeen DermaOne (£37.99, 60 tablets), with marine complex, vitamin C and zinc, to tackle the loss of radiance and moisture associated with the first signs of ageing, and an innovative similar product for men, Imedeen Man*Age*Ment (£44.99, 60 tablets), with added LycopPhence GS Forte, a patented skin defence system containing lycopene, grape seed extract, vitamin C and zinc. Free from: all key food allergens except fish. With 24 essential nutrients for skin, hair and nails, including vitamins A, B complex, C, E and K for skin health, zinc to keep acne at bay, and beta-carotene for sun defence. Suitable for vegans. 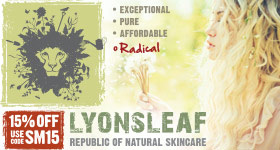 Free from: fillers, bulking agents and binders, gluten, wheat, lactose, preservatives, artificial colouring, and sugar. Astaxanthin is a key antioxident which mixes with both water and fats in the body, allowing it to be transported to every cell. 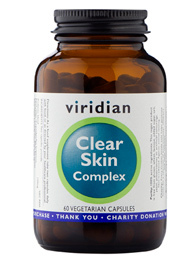 This supplement from the well-known producers of natural skincare products also contains key superfoods such as chlorella, wheatgrass, barleygrass, spirulina and seagreens for overall support. Free from: all key allergens, including gluten (wheat/barleygrass are gluten-free). A blend of natural nutrients – including vitamin C, zinc, biotin, copper, wholefood calcium, msm, silica extract, pantothenic acid, pine bark extract – which play a role in supporting the structure, quality, growth and condition of your hair, skin and nails. Free from: artificial flavours, preservatives, GM, yeast, gluten and lactose. Part II – on liquid skincare supplements and ‘beauty drinks’.